As you might remember from last week’s post, this summer we want you to show us how #musicmoves you! The pictures are already pouring in and we are lovin’ the way free live music is moving people all across the country. 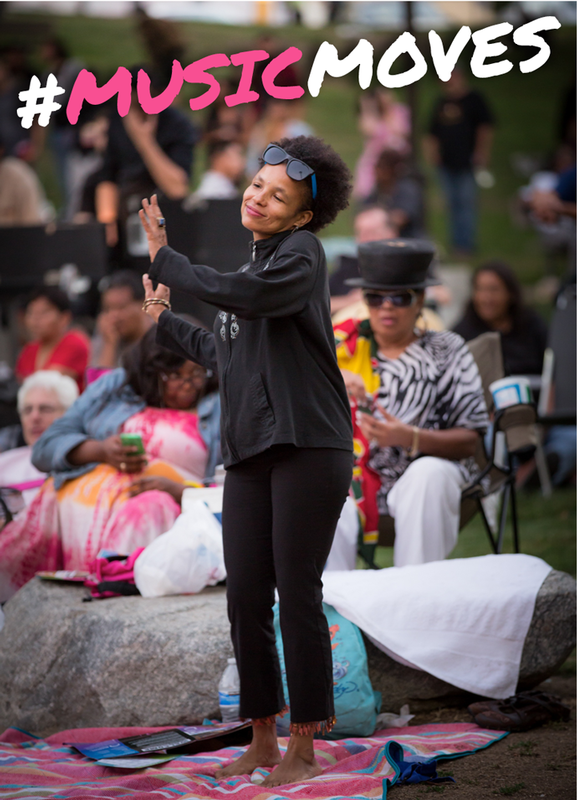 Each week we’ll be featuring a new #musicmoves photo here on our blog, pulling from the #musicmoves live feed and our own photo collection here at Levitt Pavilions. Want to join the fun? Just snap a pic at a Levitt concert and share your photo on Twitter or Instagram using #musicmoves. Each month, from June to October, we’ll be choosing one lucky winner with a creative photo and caption to receive a $100 iTunes gift card! We can’t wait to see how #musicmoves you! This entry was posted in #musicmoves on June 8, 2015 by Nicole McGaffey.